Next week is Chuseok, or Korean Thanksgiving. 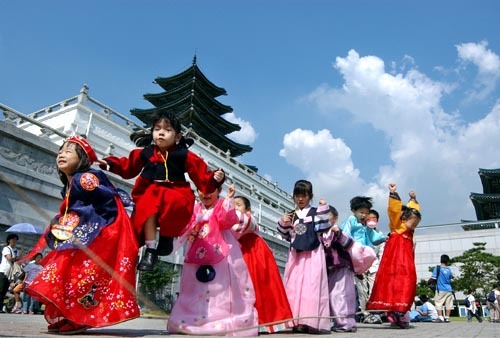 Chuseok is also known as 한가위, (“Hangawi,”) which translates to “Harvest Moon Festival” and is one of the biggest festivals of the year. It is a three-day holiday here in Korea, and this year falls on the 21st, 22nd and 23rd of September. It is traditionlly a time for families to travel back to their home towns to pay their respects to their ancestorsand share a feast of Korean traditional food. So what does this mean for us Non-Koreans here? Well...we also get the 3 days off (plus, if your very lucky, a bonus day off on Friday 24th). So that means a nice long holiday for some. So for us here, we wish all of our Korean friends a very happy Chuseok!